The former congresswoman from Arizona will raise money for Mike Michaud's campaign for governor. AUGUSTA — Trying to make good on a promise to make gun control a part of the midterm election debate, Gabrielle “Gabby” Giffords will visit Maine on Saturday to raise money for Democratic gubernatorial candidate Mike Michaud as her team prepares a multistate campaign to begin after Labor Day. The appearance is among the former Arizona congresswoman’s first steps into electoral politics this year and has Michaud on the defensive, underscoring the challenges Giffords faces to make “common-sense” gun control an issue on which any politician is willing to campaign. “He’s been telling his constituents in northern Maine that he is a pro-gun rights candidate, and it doesn’t get any less pro-gun rights than … raising money with Gabby Giffords,” said David Sorensen, a spokesman for the Maine Republican Party. 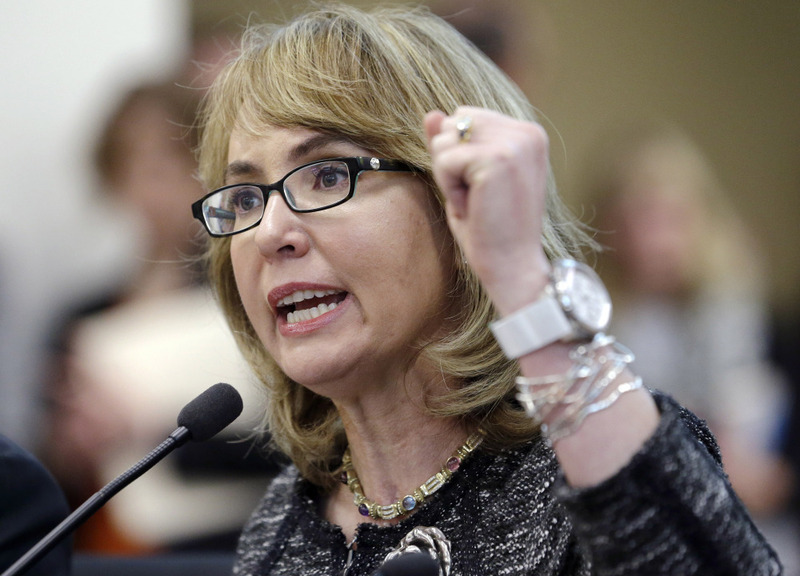 Giffords has become well-known advocate of gun control since she was shot in the head in a 2011 attack in an Arizona parking lot that left 13 wounded and six dead. The gunman was later diagnosed with paranoid schizophrenia, and Giffords remains partially paralyzed and struggles with her speech. Giffords and her husband, former astronaut Mark Kelly, are headlining a fundraiser for Michaud in Kennebunkport on Saturday after meeting privately with Republican former President George H. W. Bush and his wife, Barbara, at their nearby compound – part of a continuing friendship between Kelly and the Bush family that began when both were based in Houston. Giffords and Kelly have announced plans to focus on 11 races this fall, seven for the Senate and four for the House. But they’ve done little publicly to this point, aside from raising money to fund a political operation they say will include television and online advertising, mail and get-out-the-vote efforts. Giffords’ organization, known as Americans for Responsible Solutions, is filming its first television ad this week. Aides are also discussing the details for a national tour featuring Giffords and Kelly this fall. “It’s safe to say you’re going to see a lot of money spent and activity in the next couple of months,” said Pia Carusone, Giffords’ closest aide and head of Americans for Responsible Solutions. She said the organization will meet its goal of raising at least $20 million to spend on the November elections. Giffords’ group was created in part to counter the influence of the National Rifle Association, a group with virtually unlimited resources and millions of members nationwide that has aggressively opposed any new gun regulations, including an expansion of background checks. The NRA spent $3.4 million on lobbying last year, and its political action committee reported having nearly $17 million in the bank at the end of June. Michaud is in a tight three-way race against incumbent Republican Paul LePage and independent Eliot Cutler. Michaud said he and Giffords developed a close friendship as conservative “blue dog” Democrats while in Congress, and that, like Giffords, he remains committed to working to expand background checks while upholding the rights of gun owners. Republicans “are going to say anything and everything, even if it’s stretching the truth,” said Michaud, who during his six terms in Congress has received high marks and thousands of dollars in contributions from the NRA. He’s quick to note that moderate Maine Republican Sen. Susan Collins is among the candidates that Giffords’ group plans to support this fall. The group also is planning to support allies in Colorado, Iowa, Louisiana, New Hampshire, North Carolina, Minnesota, Pennsylvania and Arizona. Last summer, during a seven-state, seven-day tour, Giffords and Kelly traveled to Portland, where they applauded Collins and independent Maine Sen. Angus King for supporting a background check bill that was defeated last year in the Senate. Giffords and Kelly visited shooting ranges to highlight their support for gun ownership while calling for what they call “common-sense reforms,” such as stronger background checks and better screening of potential gun buyers for mental illness. They also met with the Bush family at their Kennebunkport estate. The efforts have gone nowhere in Congress. The lobbying of Giffords, parents of children killed in the Newtown, Connecticut, school massacre and well-funded campaigns by former New York City Mayor Michael Bloomberg have run headlong into aggressive opposition led by the NRA, which has carried the day despite polls that show voters overwhelmingly support universal background checks. In Maine, Republicans are determined to elevate the issue in the campaign as they push the narrative that Michaud, who has billed himself as a conservative Democrat, continues to fall in line with the traditional party platform. “It’s just one more sign that Mike Michaud simply puts his finger to the wind to determine his views,” Sorensen said.